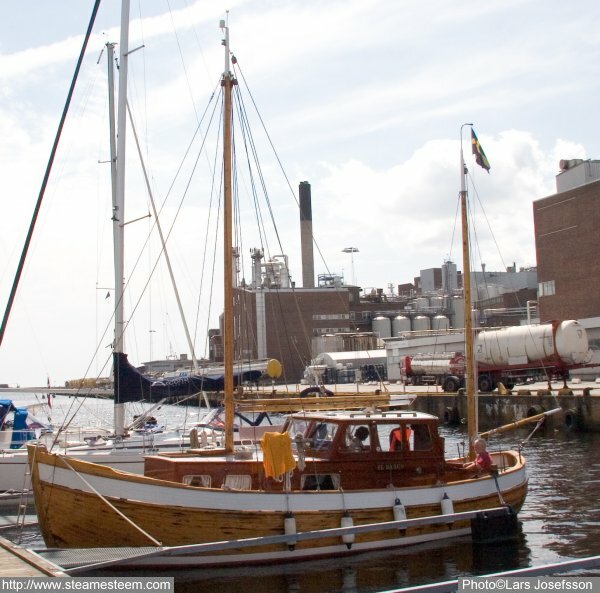 The yawl moored i Karlshamn. 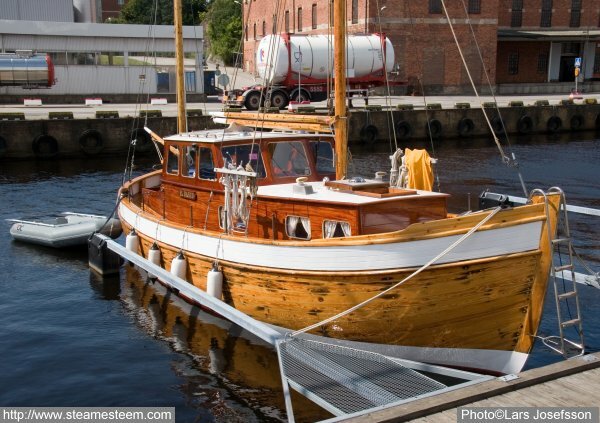 The Yawl El Barco was built in 1955 by Gustavsson & Söner in Landskrona. She served as a pilot-boat at Karlshamn until 1982.